A card for the Splitcoast Color Challenge…using SU! Old Olive, Cherry Cobbler, and Very Vanilla or Whisper White. For the dessert option…silver or pearls (neither of which I used today). 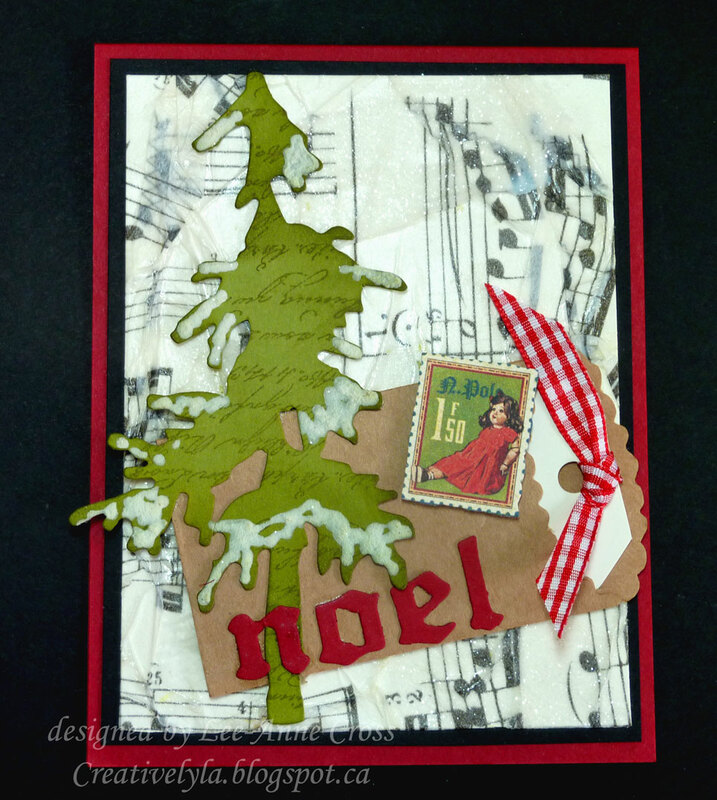 The background is made by gluing some Tim Holtz Tissue Wrap on a piece of card stock. I’ve used Glue n’ seal both underneath and on top. As the tissue was being glued onto the card stock, I wrinkled it. Once it was dry…yes, I’m impatient so I dried it carefully with my heat gun…I dabbed some more of the glue in a few random spots and then added some Ranger Distress Stickles Dry Glitter. It gives a really nice sparkle without being overdone. The tree is a Tim Holtz die cut that’s been stamped with a script stamp, randomly sponged with the Old Olive ink and then I added some snow with a snow marker. Once the snow was dry, I hit it with the heat gun to puff it up. The sentiment was die cut in Cherry Cobbler. I glued the little mini bag and tag on the background, then the tree, followed by the sentiment and little stamp. The doll stamp has been cut from some designer paper and popped up on dimensionals. Then a little bit of gingham ribbon and it’s done!